Jeffrey Dent was selected as Associate Conductor of the Repasz Band in October 2017. Jeff grew up playing in the Berwick Colonial Band and Hi-Hats Big Band. He went on to graduate from Mansfield University of PA with a bachelor of Music degree in Music Education. At Mansfield he was principal clarinet in the Wind Ensemble and Orchestra, member of the Concert Choir and Woodwind Quintet, and as a member of the Mansfield Mountie Band, toured and performed in London and Harrogate, England. He also represented Mansfield at the Pennsylvania Intercollegiate Bands and Orchestras. He has completed graduate work at Bloomsburg, Marywood, Penn State, Wilkes, West Chester, West Virginia Universities. Jeff taught instrumental music in Hughesville, Hanover and Jersey Shore School Districts. Jeff’s Jersey Shore Middle School Band was invited to perform at PMEA in 2004 and 2014. His students had the opportunity to work and play with Dallas Brass, Boston Brass, Zyzx Sax Quartet as well as composers Robert Sheldon and Sam Hazo. He also has been a guest director for band festivals in Pennsylvania. 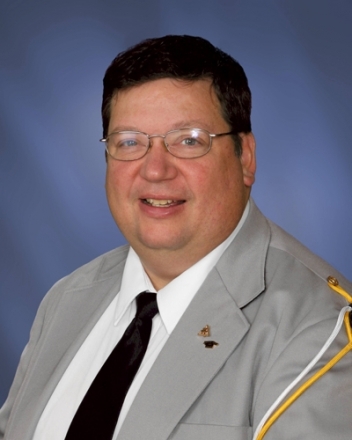 Now retired, Jeff “works” as the Director of Tournament of Bands and the Assistant Director of the Repasz Band. Theodore Lentz, also known as Theo, has earned a Bachelor of Music in Education and a Master of Arts in Instrumental Conducting, both from Mansfield University. A talented euphonium player, Theo is currently Co-Director of the New Horizons Band sponsored by Robert M. Sides Family Music. Theo brings with him experience in performing with choral, chamber and orchestral ensembles, in addition to bands. He has worked with students and musicians from all age groups — elementary and high school, as well as university and community bands. 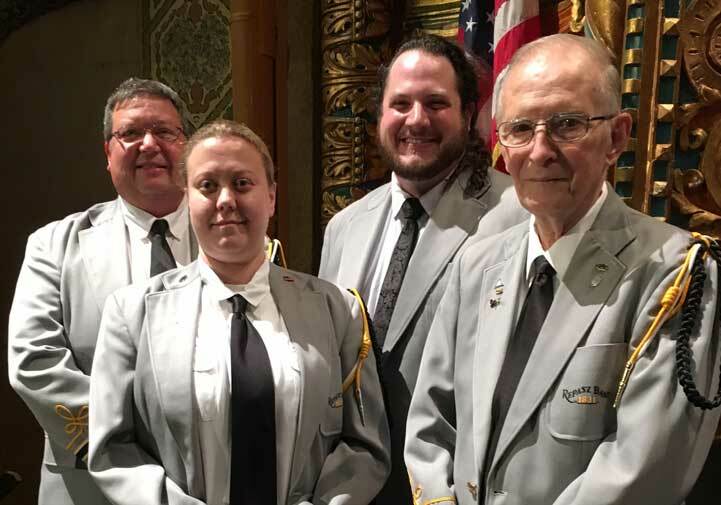 In addition to performing and conducting the Repasz Band, he is also currently performing with the Central Pennsylvania Community Band. Jessica Lewis graduated from the Montoursville Area High School. She then successfully completed a Bachelor of Science degree in Music Education from The Pennsylvania State University. While attending Penn State, she was a student of Langston Fitzgerald III, John Daniel, and Phillip Marchioni. She is an active performer and soloist on trumpet and flugelhorn in various local ensembles including the Billtown Brass and the Williamsport Civic Chorus. She is proud to be a ten-year member of the Repasz Band and looks forward to contributing to the musical mastery of the ensemble for many years to come. 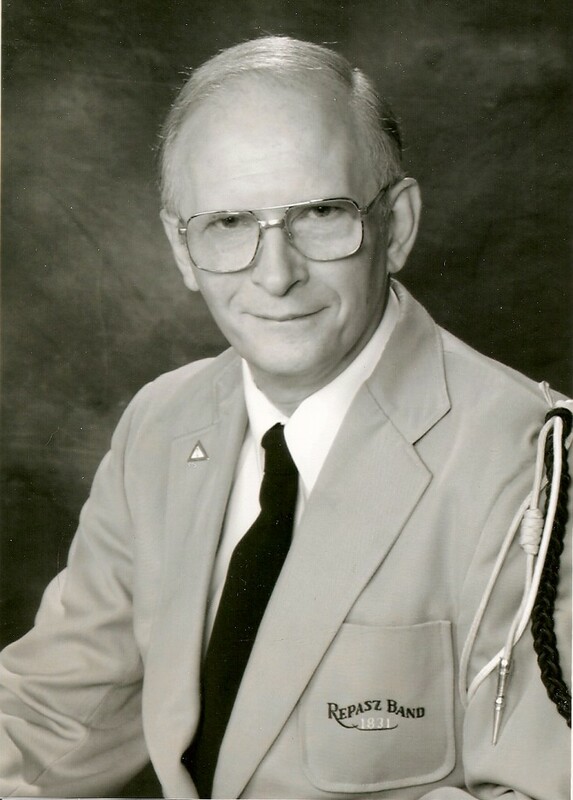 the late Gordon Taylor, Conductor Emeritus, USN Retired, has been Assistant Director of the Repasz Band (from 1985 to 2016). Gordon relocated to Williamsport, Pennsylvania in 1980 following his retirement from the U.S. Navy where he had served as an Instructor at the U.S. Navy School of Music and performed with the U.S. Navy Jazz Band. He was Director of the Commander Amphibious Forces Atlantic Fleet Band, which was featured on a Presidential People-to-People Tour and performed for numerous heads of state. A very talented saxophonist and jazz musician, Gordon has frequently been featured as a soloist with the Repasz Band. He also directed the Scottish Rite Imperial Teteque Band, performed with the Bobby McCreary Big Band, and in pit orchestras for musicals performed throughout the area.